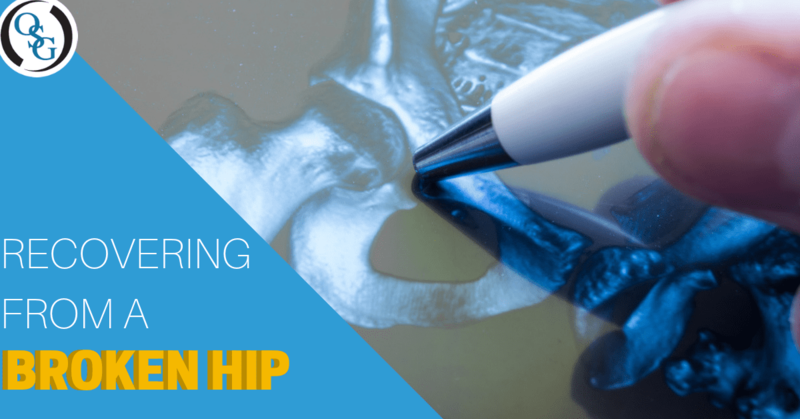 Breaking a hip is much more common than you may expect. In fact, each year in the U.S., about 300,000 people over 65 are hospitalized for a hip fracture. The treatment for a broken hip can seem like a long and complicated road at first, but we’re here to answer your immediate concerns and assure you that it doesn’t have to be. Do I need surgery? What kind? Internal repair- Metal screws and/or plates will be inserted into your bones to keep them together during the healing process. This is most often the option for younger patients and those with minor fractures. Partial hip replacement- The ends of the damaged bones will be replaced with metal prostheses, and this is meant to replace missing parts of the bones. Total hip replacement- The top of the thighbone and the socket of your pelvic bone will be replaced with metal prostheses; in other words, your entire hip. This is often done for older people who already have existing arthritis. What kinds of medications will I need to take? After your surgery, you will be given short-term pain relief medications that are meant to both numb your hip as well as keep any excess swelling down. You may also be given blood thinners to prevent blood clots. Some people worry that they may become addicted to their temporary medications, and it is important to note that certain pain prescriptions can be addictive, so be prepared to monitor yourself and take them only as prescribed. What will follow-up care look like? As soon as the day after surgery, you will need to meet with a physical therapist and regain your strength to walk. After your post-operation hospital stay, you will need to see this therapist a few times a week for about 3 months. You will also need to attend follow-up appointments with your doctor to check your surgery site and take x-rays. You may also see an occupational therapist who will help you get back into doing things like bathing, dressing, or cooking. We know you have a lot of questions about what to expect in recovery from a broken hip. However, after learning these basics, you can be assured that your journey will only be as difficult as it needs to be.